I love math. I think it’s beautiful and interesting. It’s problem solving that leads to answers. And it’s so satisfying to reach a definite conclusion after working a single problem on an entire sheet of college ruled notebook paper. My math mind stops somewhere after beginners calculus (or as GW calls it “Calculus for Business Majors”). 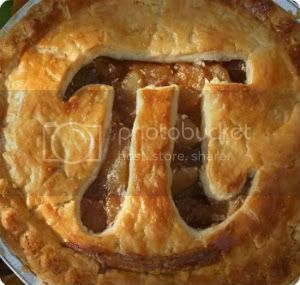 But that’s OK.
Then, on National Pi Day of all days, I learned there is a faction of society that believes Pi is WRONG. How could that be? This video explains it for the nerds/non-geniuses like myself. Previous Post: « Are You a Good Egg?